It’s hard to believe that Christmas is almost here! 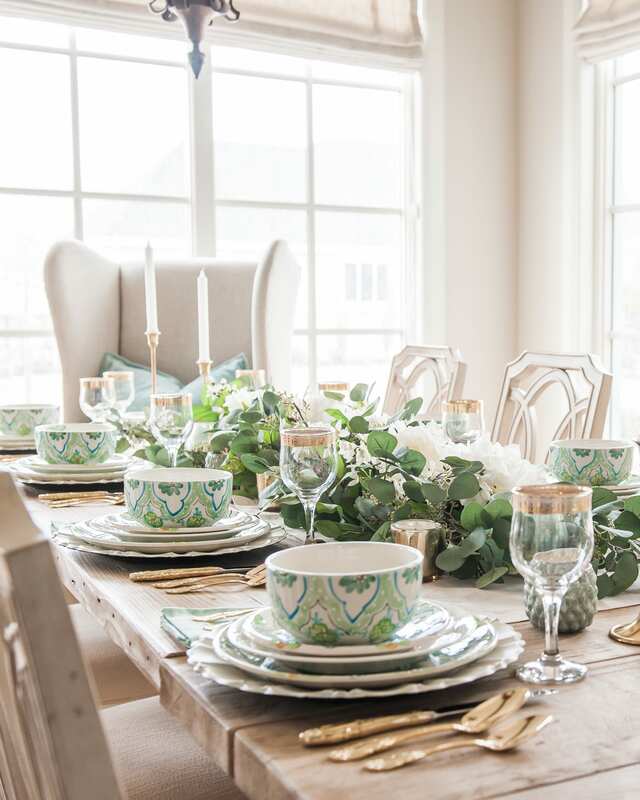 My talented friends and I have been busy decking out our homes for the holidays, sharing recipes, and creating beautiful tablescapes to host our friends and family. 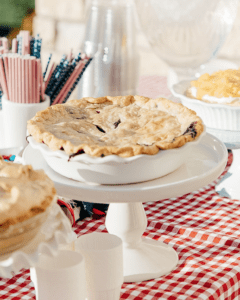 We all love entertaining and hosting parties so we’ve put together another blog post for our “Holiday Hosting at Home” series. Today we are sharing what we’ve been doing over the past few weeks including some creative ideas for your Christmas tables and decorations. I also share a lasagna recipe that is a family favorite and great any time of the year. 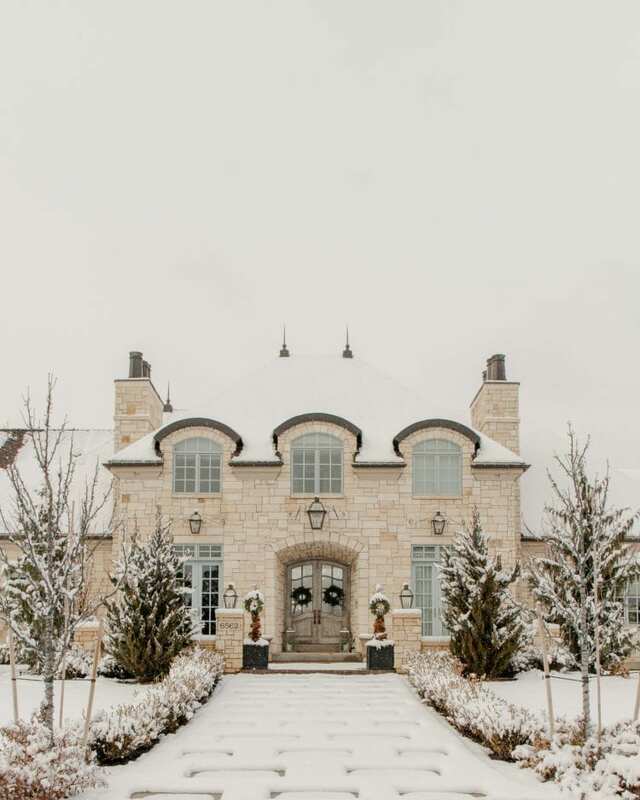 Today I’m sharing the parts of my home that I decorated for Christmas in the Highland home. Christmas is a special time of year and the tree is my favorite thing. I’ve always enjoyed decorating for the holidays and I love the warmth it creates in my home. At night when the tree is all lit up, there’s a special feeling that is created. Every year I look forward to decorating the house and creating memories with my family. 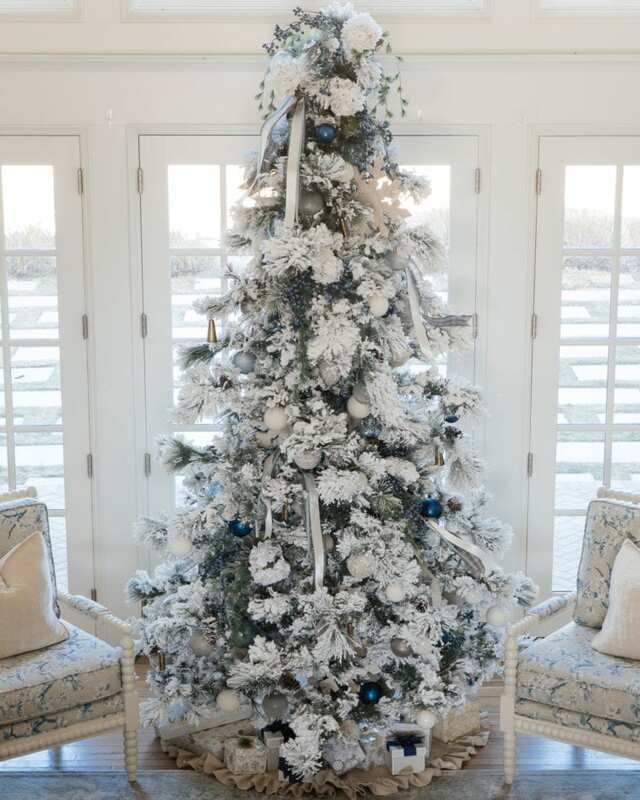 In the living room, I decorated my 10′ flocked long needle pine tree and used different shades of blue, silver, and ivory ornaments to match the other furnishings in the room. The mantle is a garland filled with blueberry picks, white hydrangeas and other greenery. It’s so pretty at night when all the christmas lights are on! 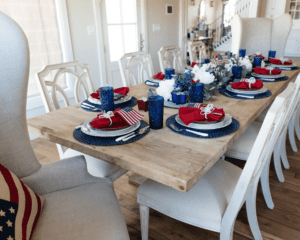 Holiday Hosting at Home #5: Christmas Table Settings, Decor and More! Can you believe Christmas is almost here! We’ve all been busy getting ready for the holidays and creating things to inspire you. 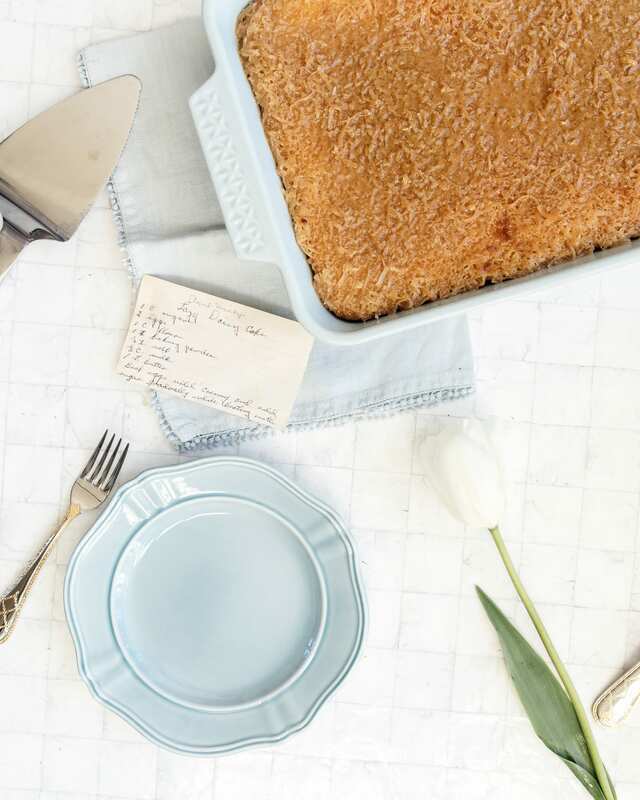 We are excited to share our fifth post in our blog hop: Holiday Hosting at Home! This week we are sharing what we’ve all been up to the past few weeks including Christmas tablescapes, Christmas trees, and my family’s favorite recipe! 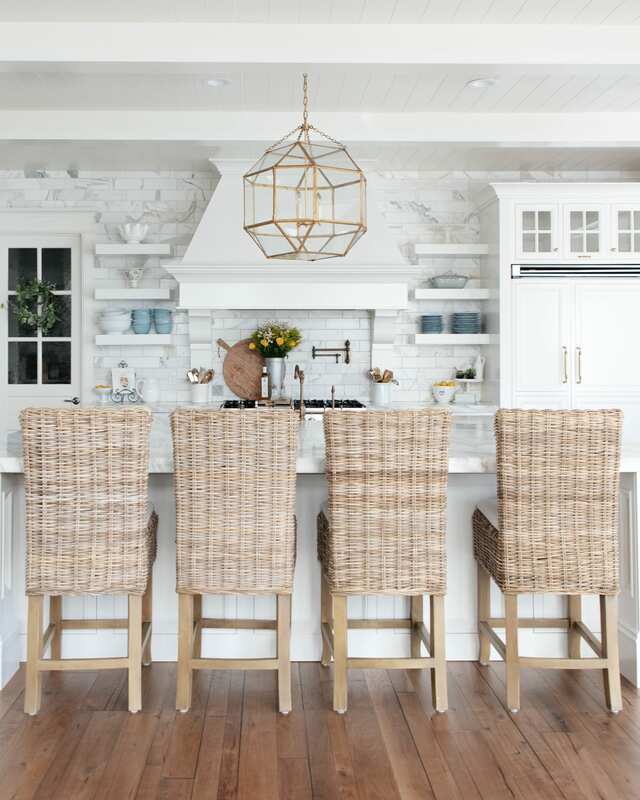 We hope this gives you some ideas for entertaining at home! If you would like to pin any of these images, please go to the original post linked below each image. You will want to see their whole posts anyway because there is so much inspiration in each of these posts. I have always loved Christmas trees! When I was in my early twenties, I went to the most amazing Christmas party in Seattle on Queen Anne Hill where the houses are old and so charming. The lady whose home it was at had a Christmas tree in each room of her house. 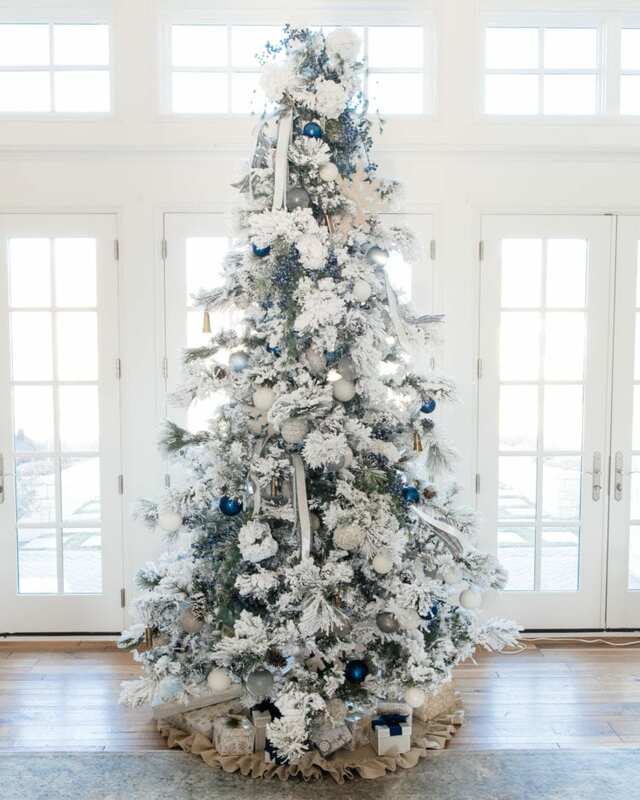 Each tree was different and matched the colors and decor of the room. She had used live trees in different shapes and sizes but each was unique and beautifully decorated. I remember thinking I wanted to do that someday when I had a home of my own. I have collected trees and ornaments over the years, but I’m still far away from having a tree in every room. 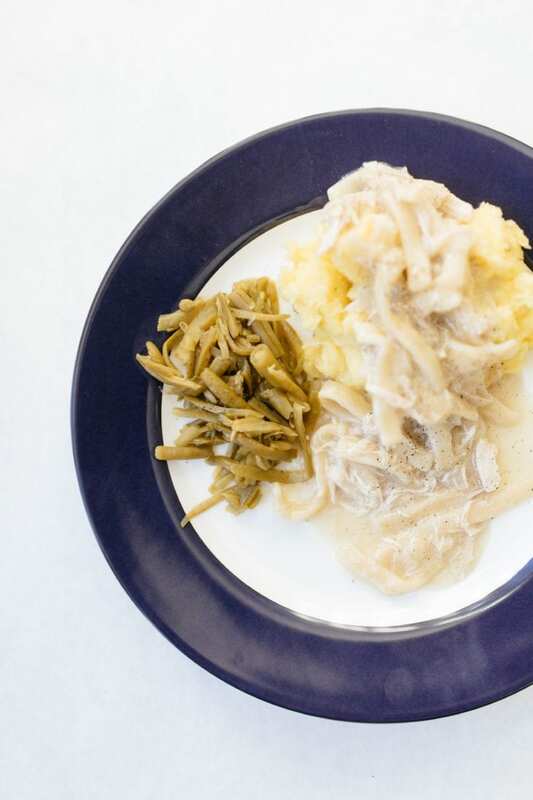 This homemade chicken and noodles recipe served over mashed potatoes is a cherished family recipe. I know you’re wondering how can you have double starches? Potatoes and noodles? Trust me, this is a delicious combination! Anyone who has ever had this meal loves it. 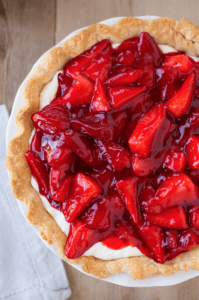 We would have this often when I was growing up and this was one of the first recipes I learned to make when I was young. It has been passed down four generations and originated, as far as I know, from my Great Grandma Stone. This was the first meal I ever made for my husband not long after we met.